We offer a premium range of power banks. 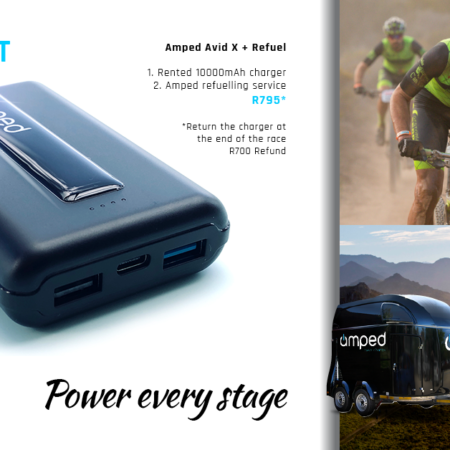 Amped portable chargers enable you to re-charge phones and all low-tech devices on the go anywhere and everywhere. Introducing the fastest Amped charger to date and more output ports. The new Amped Avid X version 2.0. 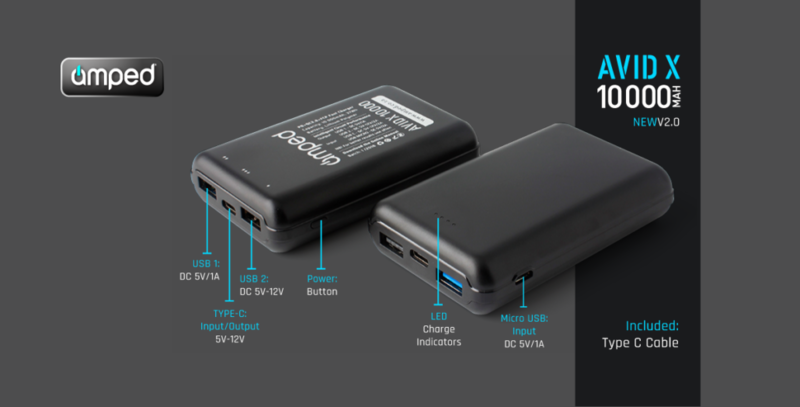 This new powerful 10,000mAh charger has four ports and the most significant of these is the new Type C Dual (output and input) charge port with a faster charge rate and efficiency. 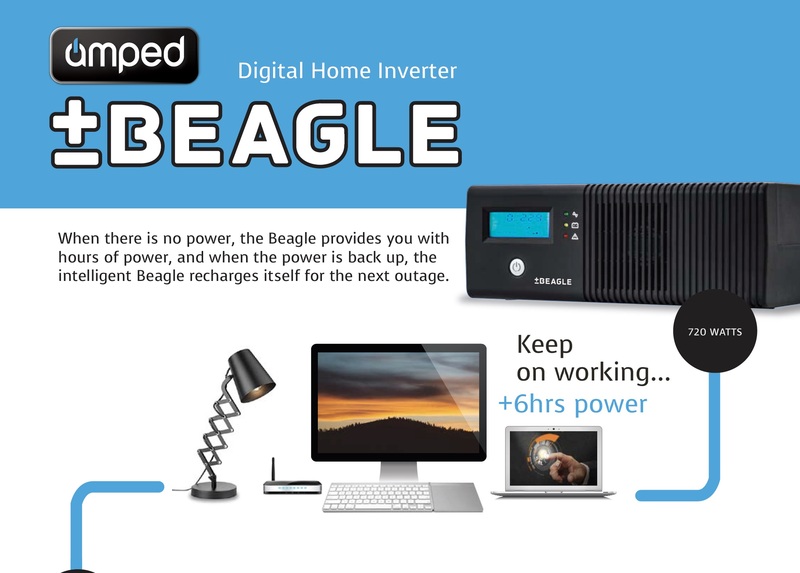 The Amped Beagle Inverter jumps in to provide uninterrupted battery power to your essential home/office appliances during load shedding. When Eskom fails, the Beagle will provide a few hours of power and when Eskom’s back up, the intelligent Beagle recharges itself – ready for the next outage. 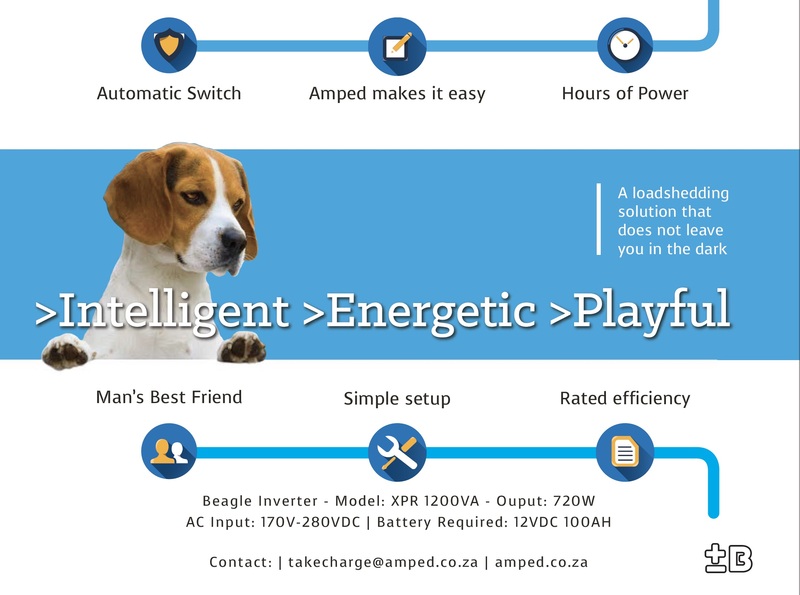 The Amped Powerhouse provides a charge service to the Fnb Wines2Whales, Absa Cape Epic and the Joberg2c. 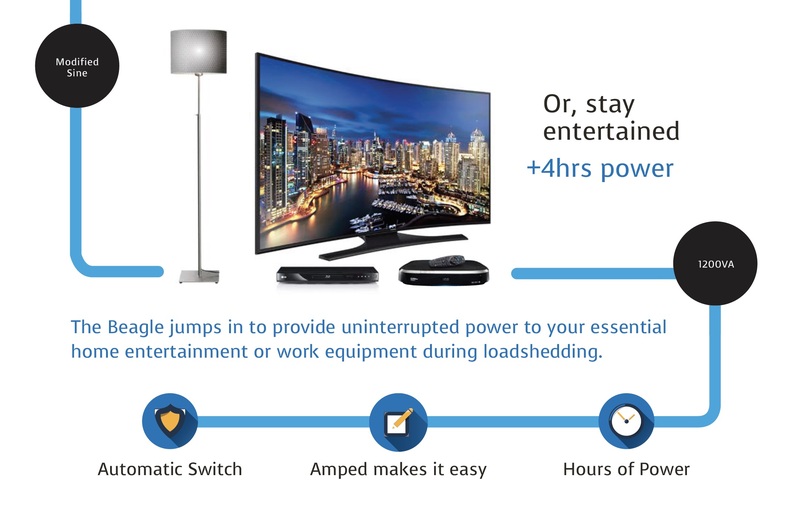 The one of a kind Amped Powerhouse is uniquely engineered to recharge over 1000 Amped chargers daily. 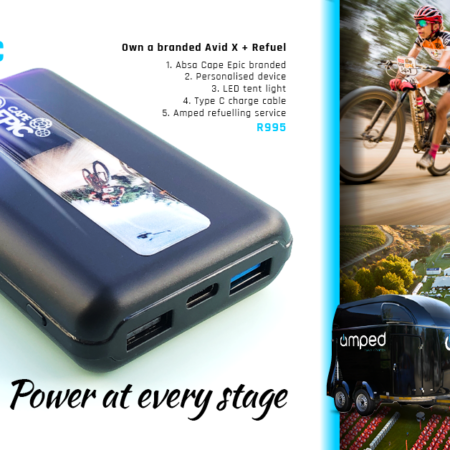 The Amped event charge service includes an experienced activation team to keep all riders devices charged. Riders take their fully loaded Amped chargers with them to recharge all their own devices conveniently anywhere they like. Both our premium powerful portable chargers are available for custom branding. The full package deal includes gift boxes, bespoke inserts, high quality printed branding direct or dome. Extras available on order include cables, lights and travel cases.